Chairman Cho Young-tak of Korea Power Exchange (KPX) stressed the importance of building of an efficient, eco-friendly power market. “Realization of a fair competitive market is a necessary condition of energy shift, but not a sufficient condition,” he said. Chairman Cho also emphasized two tasks - contributing to innovative growth of the Korean economy and job creation. He called for the advancing of the power industry, expanding new & renewable power sources, as well as low-carbon divergent power generation, developing diverse demand resources, and the settlement of the newly inaugurated small-size power exchange market. Cho mentioned the need for establishing new supply and demand planning methods and governance, considering diverse demand response. 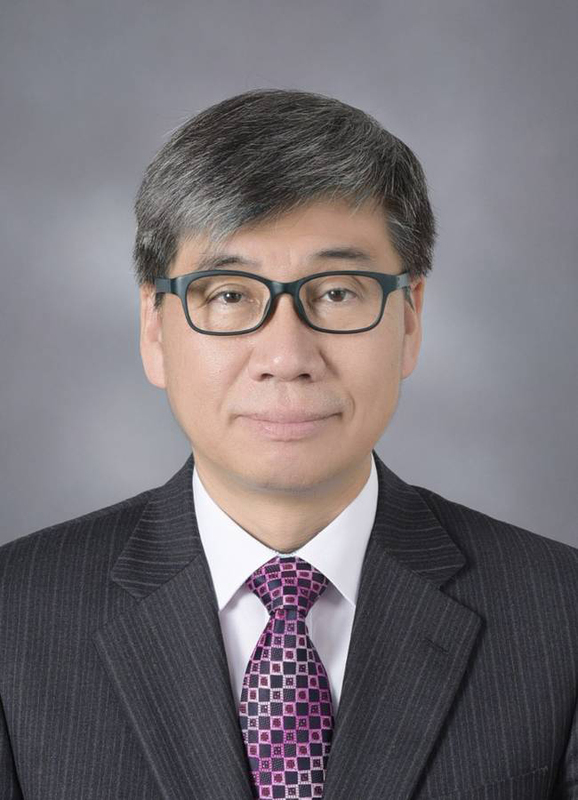 He spoke KPX’s imminent tasks such as the accumulating of expertise on new and renewable power generation source technology features, site and power grid, the establishment of cooperative governance among related organizations, and the securing of stability and reliability in consideration of uncertainties of new/renewable energies. Chairman Cho cited the advancing and upgrading of power grids and seamless operation of power grids as KPX’s most urgent task. He called for the strengthening of capabilities to brace for the introduction of new power transmission technologies such as integrated control of intermittent power generation sources, reducing fine dust emissions, and the safety-oriented operation of facilities. He urged his executives and staffers to turn KPX into a “brain” of the power industry and a keystone species in the power industry ecosystem in an era of energy paradigm shift. 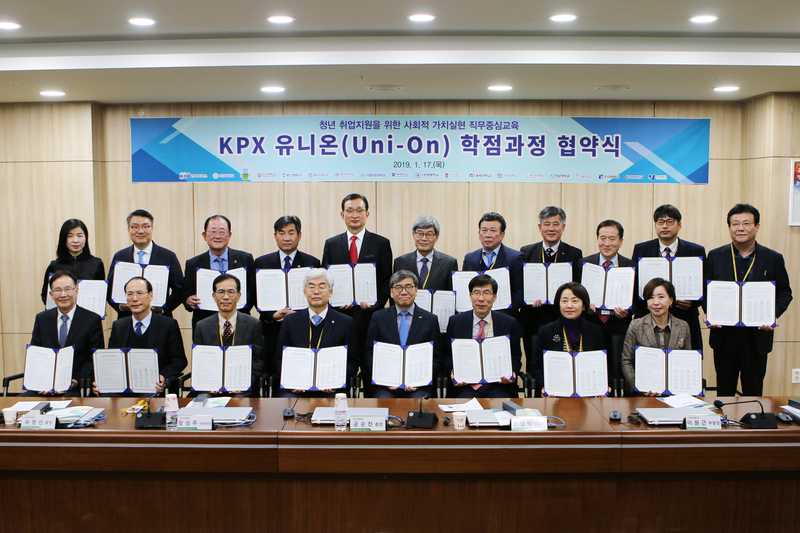 On the back of the successful operation of the Bikgaram credit course, KPX signed agreements on the Uni-on Credit Course with 18 universities across the nation as part of its efforts to expand a work performance-oriented open university. The Uni-on Credit Course will be operated in accordance with each university’s request to expand the Bikgaram credit course to the whole nation. The Uni-on Credit Course will be a combination of on-line and off-line credit courses. About 150 students, selected from each university, will be educated on an initial online stage for 35 hours and will assemble on the second off-line stage for five days (for 40 hours). The courses will focus on education related to own responsibilities of KPX, which operates the power market and power grid.